How Frequently Should Industrial Torque Wrenches Be Recalibrated? Some tools can function for a long time without needing much special care, while others require regular adjustment. Torque wrenches fall into that second category, demanding regular calibration performed by professionals. How frequently should you recalibrate industrial torque wrenches? It depends on the wrench, and how it’s being used. 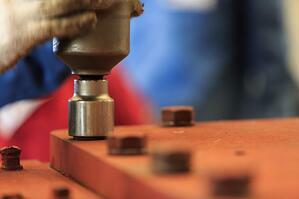 Calibration is important because it ensures that a torque wrench is accurate and reliable. Some professionals suggest calibration after 2,500 repetitions, working on the idea that the tool’s performance is affected between 2,500 and 3,000 repetitions. Though many professionals don’t schedule calibrations according to the calendar, getting a wrench calibrated every six months couldn’t hurt. If errors on torque reach beyond the accepted limit, consider recalibration. A good rule of thumb: the more usage, the more calibration needed. Consider recalibration if the torque wrench meets or surpasses 25 percent of the maximum overload limit. Maxpro takes pride in the investment it has made in cutting edge certification and calibration technology. Our clients trust us to take care of their equipment as we complete calibration to their satisfaction, using NIST traceable certifications on every piece of equipment we calibrate. If your torque wrench is ready for calibration, contact us today. You can also download our customer service form and send it in with your equipment to help with a faster turnaround of your calibration.